Our finalists for the 2018 Addix Great American Giveback are now set. We have some great cause events in this contest and we look forward to working with each school to help make them happen win or lose. In the Open category, the following teams have advanced: Trinity Football, Livonia Clarenceville Football, Western Wrestling, and Livonia Franklin Wrestling. 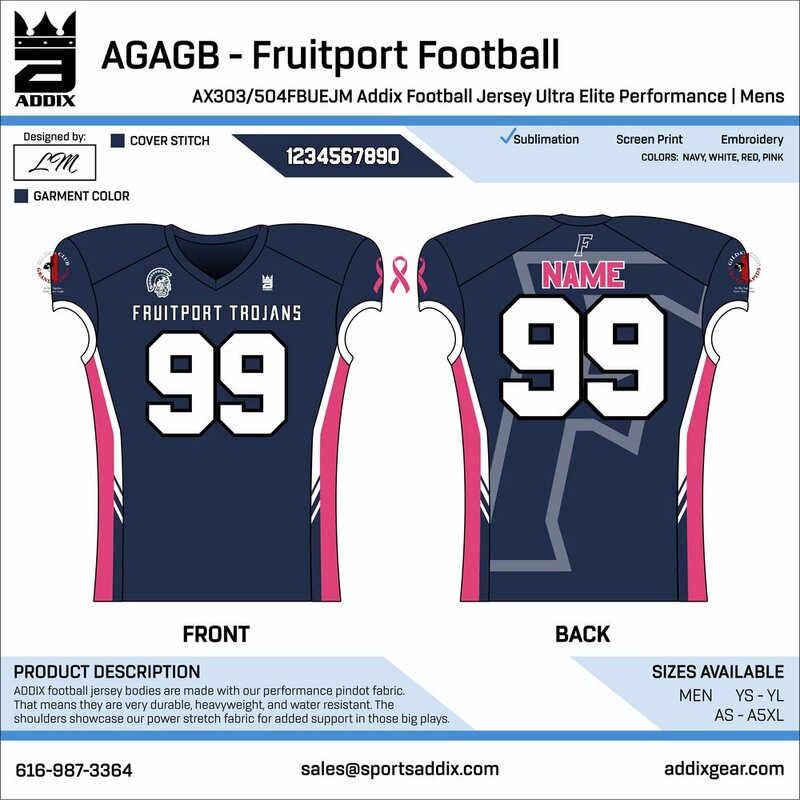 In the Gilda's Club category, the following teams have advanced: Fruitport High School, Lowell Pink Arrow, Schoolcraft Basketball, and Leto Football. 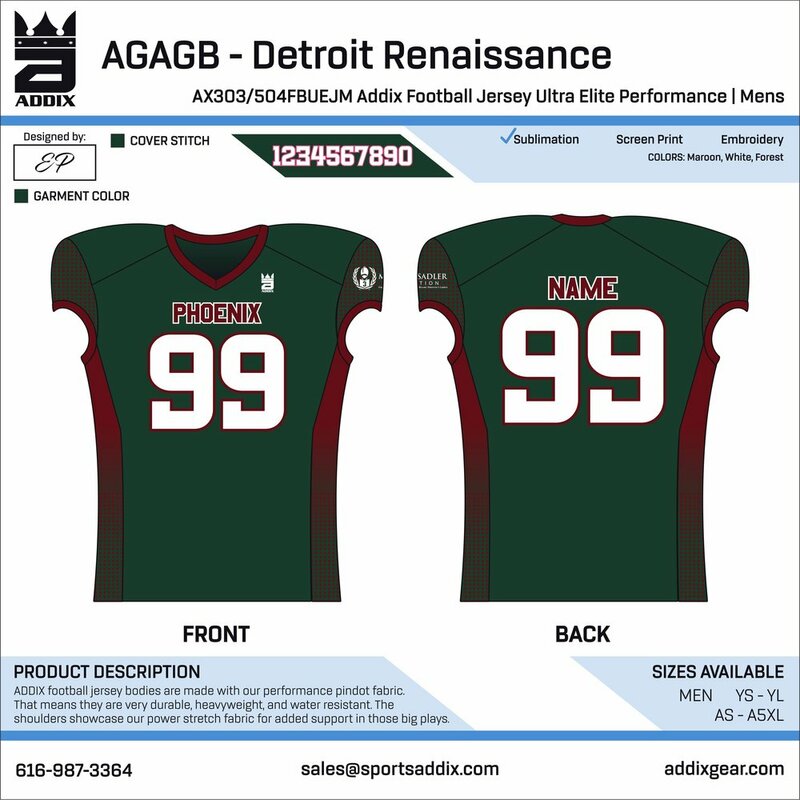 In the Michael Sadler Foundation category, the following teams have advanced: Sumner Academy, Forest Hills Northern, Croswell-Lexington XC, and Detroit Renaissance Football. In the Military/First Responder Appreciation category, the following teams have advanced: Montrose Football, Salesian Football, Snowflake Football, and Mason Football. In the Cancer Awareness category, the following teams have advanced: Freeland Football, Carrollton Football, Hudsonville Football,and Clarkston Wrestling. These teams will move on to the finals which will kick off on social media at 7:00pm EST on Sunday, 7/29. The finals will end at 2:00am EST on Thursday, 8/2. 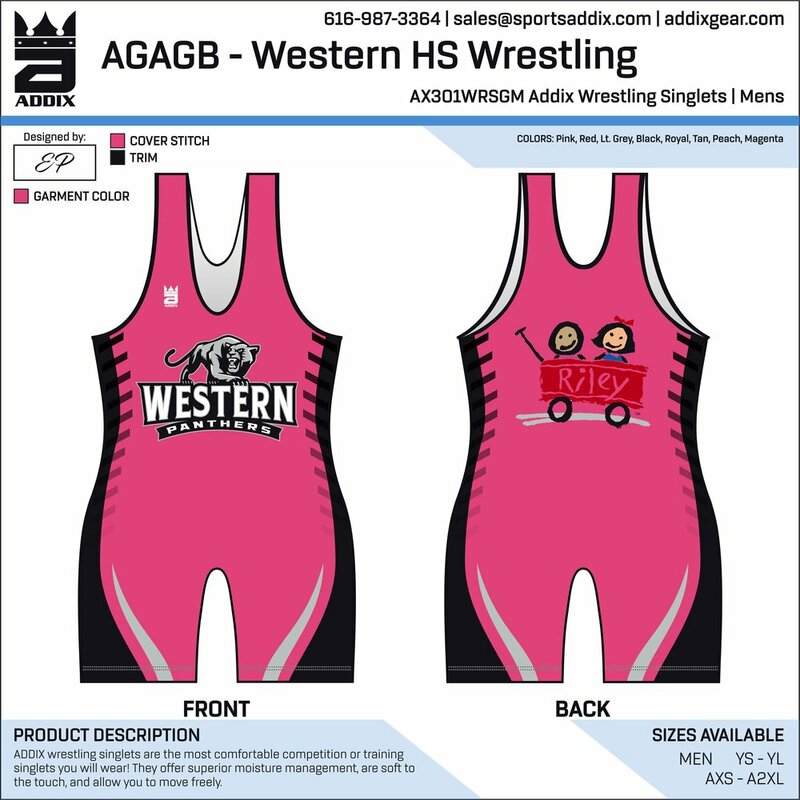 Check out the jerseys/singlets these teams could win for their causes below! Here is a list of these teams and their causes. 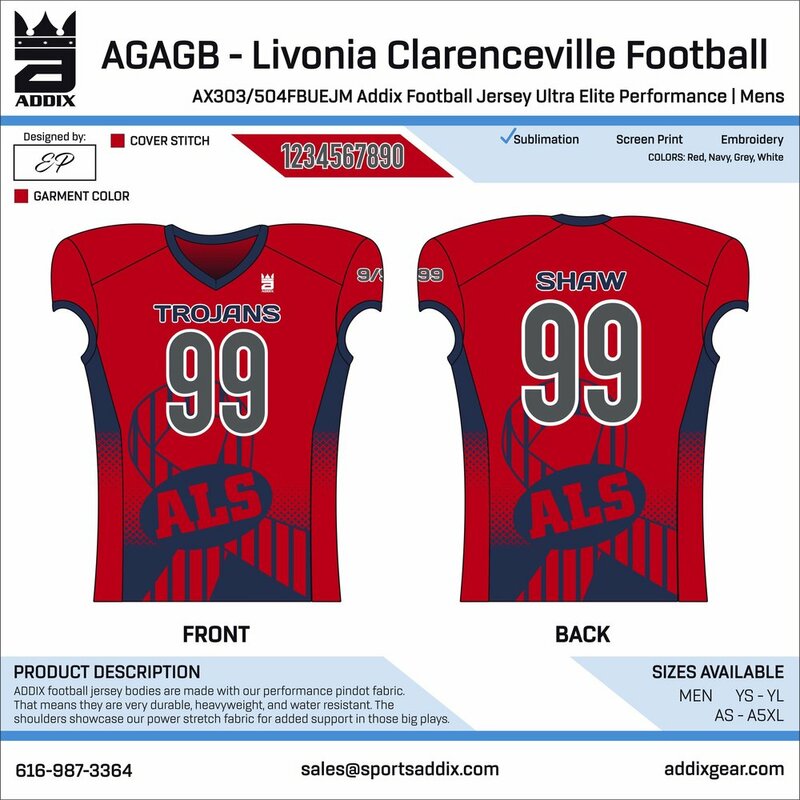 Clarenceville Football - At Clarenceville the cause that moves us deeply is the battle against ALS. We support this cause because a legend of Clarenceville was diagnosed with this illness a few years ago. Tim Shaw, a 7 year veteran of the NFL, is that legend and he is currently battling ALS and continues to be a beacon for our school district. As Tim continues to battle ALS, he still supports Clarenceville and the families of the school district. For example, Tim runs football camp that he sponsors and is free to students of the district. This event helps many students throughout the community and is another prime example of Tim giving back to his community. Tim and his family have also started the Shaw Family Educator Award which gives back to dedicated educators in Clarenceville. This past season the stadium at Clarernceville was rededicated to Tim and his family, for all that they have done for the district. The name Shaw Stadium is proudly displayed as a thank you to Tim for his dedication and commitment to Clarenceville. With that being said we would like to continue to support Tim and his family as he continues to fight for a cure for ALS. Being selected as a "Cause Jersey" winner will help us continue to spread the word and help us show our thanks to Tim Shaw and his family! Clarkston Wrestling - Wrestling in honor of a wrestling family member. Croswell-Lexington Cross Country - This is for my guys and girls cross-country teams. Forest Hills Northern Football - This is the high school that Michael Sadler graduated from. My son Joshua Wierenga is a Senior on the football team and was Michael's ball boy when he kicked for FHN. Joshua also attended games with his mother Karen at MSU and Michael always made time for Josh. Michael was an inspiration not only to my son but many others at FHN. Michael's academic and athletic ability were amazing but his character, humor and love of life were truly amazing. He will forever be remembered at FHN. We want to honor him and the foundation that his mother is so passionate about. Freeland Football - We do a "Clash for Cure" that helps all affected by the many different cancers. Fruitport Football - Game for cancer awareness and Gilda's Club Grand Rapids. 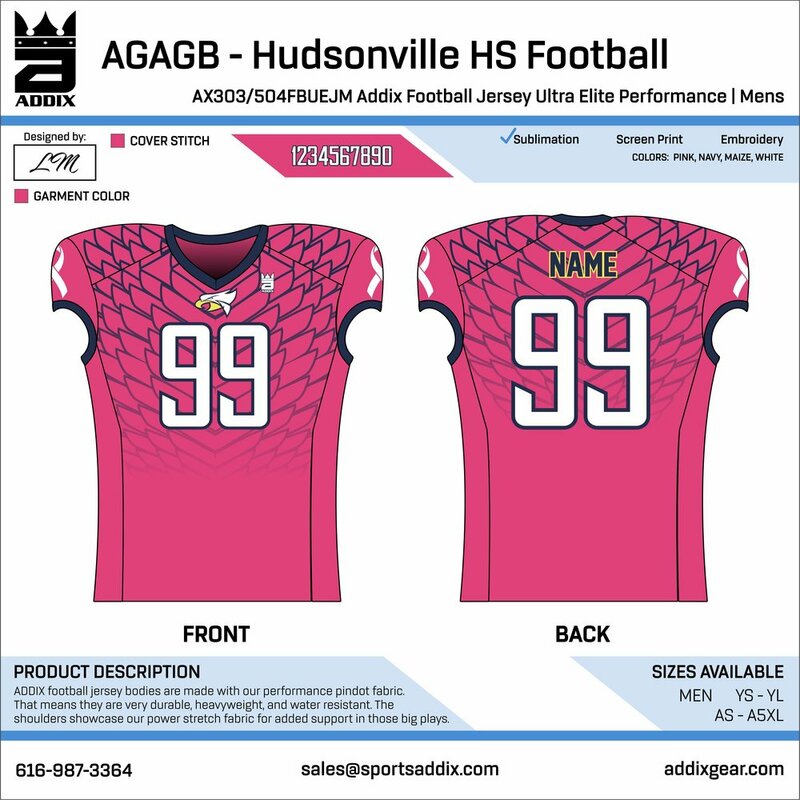 Hudsonville Football - I know that cancer affects a lot of people. I graduated from Hudsonville High School and always wanted to do a game to support cancer. I told myself that someday I’m going to make sure that a support game will happen at Hudsonville. Winning this would mean the world to me and our entire school. I want to do everything I can to give back and this is something big. I played in the Addix All-Star Game supporting Gilda's Club this year and it felt great knowing that it was for a good cause. This would be for the football team. 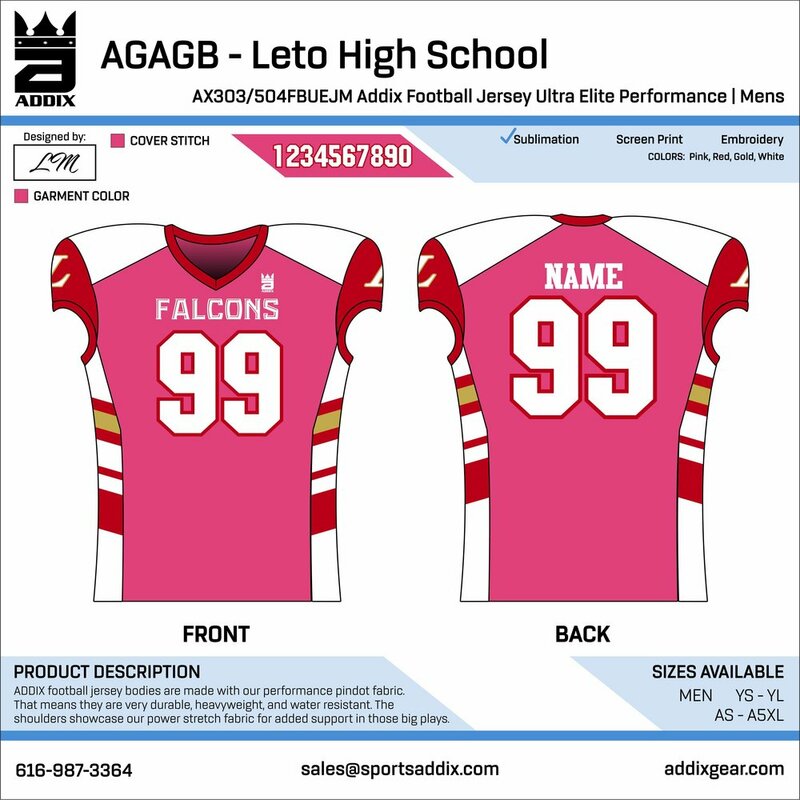 Leto Football - The sport in question is football. Our cause game is for cancer awareness. In conjunction with this we also want to raise awareness for the losses people suffer due to cancer. I always ask my players if they know anyone who has ever been affected by cancer and every time all my kids raise their hands. People suffer losses to this dreadful disease more than normal and it is ok for people to have certain emotions toward it. I lost my father to brain cancer when I was 10 years old. I am currently 29 and it still hurts to this day. To have a group like Gilda’s Club where people do not have to grieve alone, is truly important. The goal of this awareness game is to let people know that it is ok to not be ok and that there is someone here for you always. 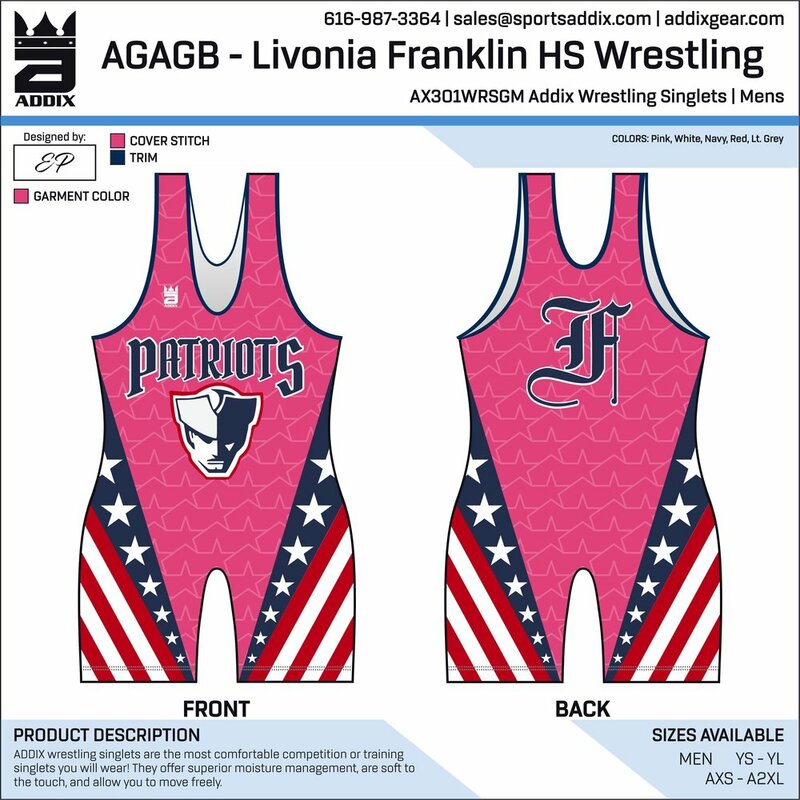 Livonia Franklin Wrestling - Dual raising money for Livonia Hospice. Lowell (Pink Arrow) - Spanning several sports at LHS, the annual Pink Arrow games raise money for Gilda's Club and local charities. Over 10 years, the Pink Arrow Project has raised over $1.8 million dollars. 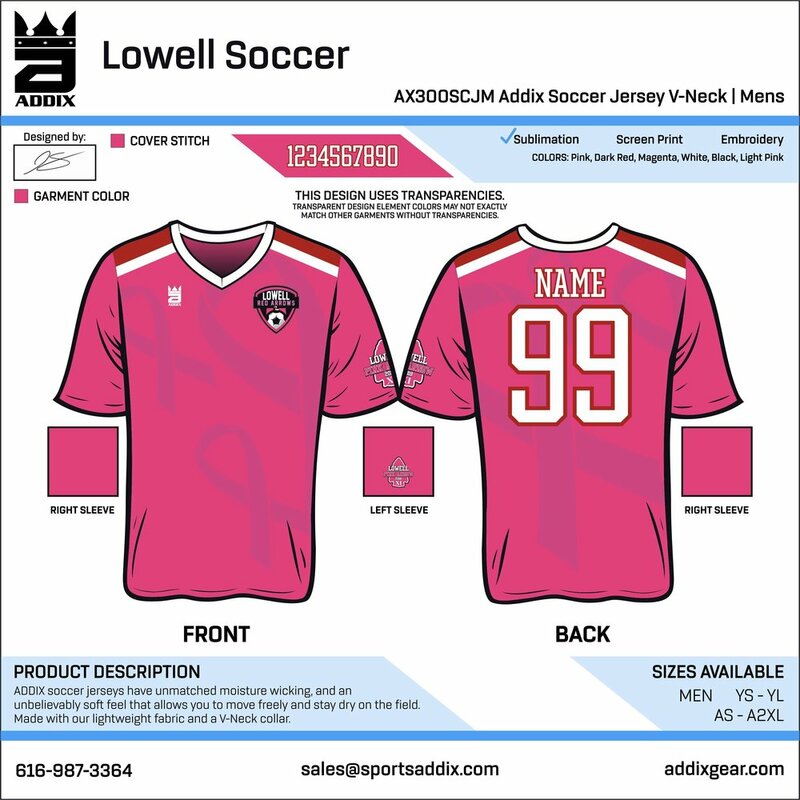 Players wear a jersey with another person's name on it that has been affected by cancer, or in memory of someone who lost their battle. Mason Football - Our football team is looking at recognizing military veterans at a game this fall. This will be the first time we have tried this. Our head coach is in his second year and retired from the Air Force. 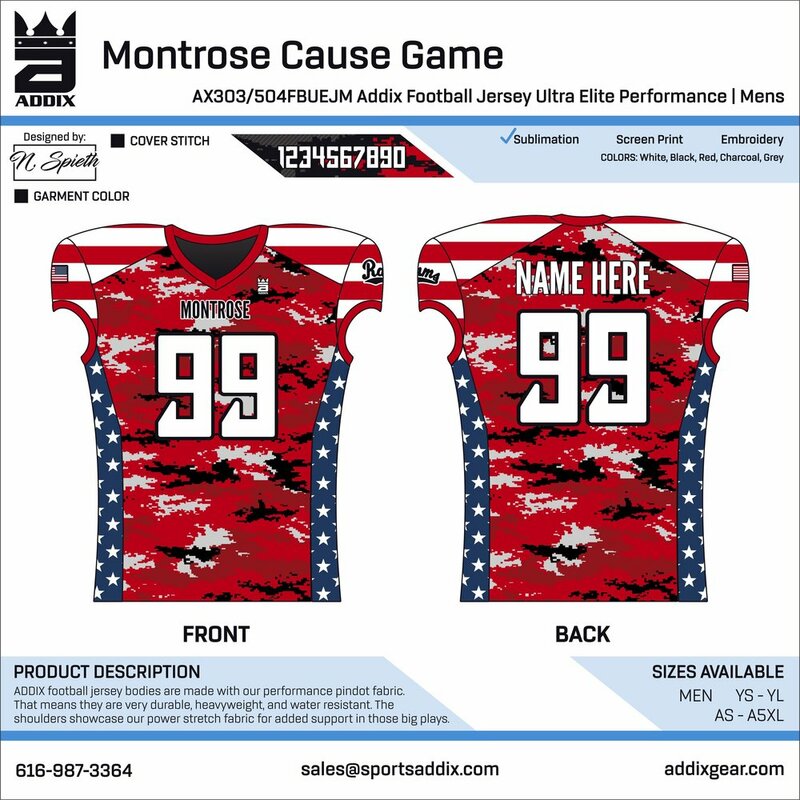 Montrose (Hill-McCloy) Football - This will be our first Military Appreciation Game. Because of recent events, we will be raising money for Mission22. Along with the game jerseys we are auctioning off 10 additional jerseys. If we got free jerseys we would raise a whole lot more money for Mission22. Schoolcraft Basketball - This will be our first cause game for our community and school. It will be a Friday night and will honor those who have gone through the cancer journey, which unfortunately has been prevalent in the lives of our community. 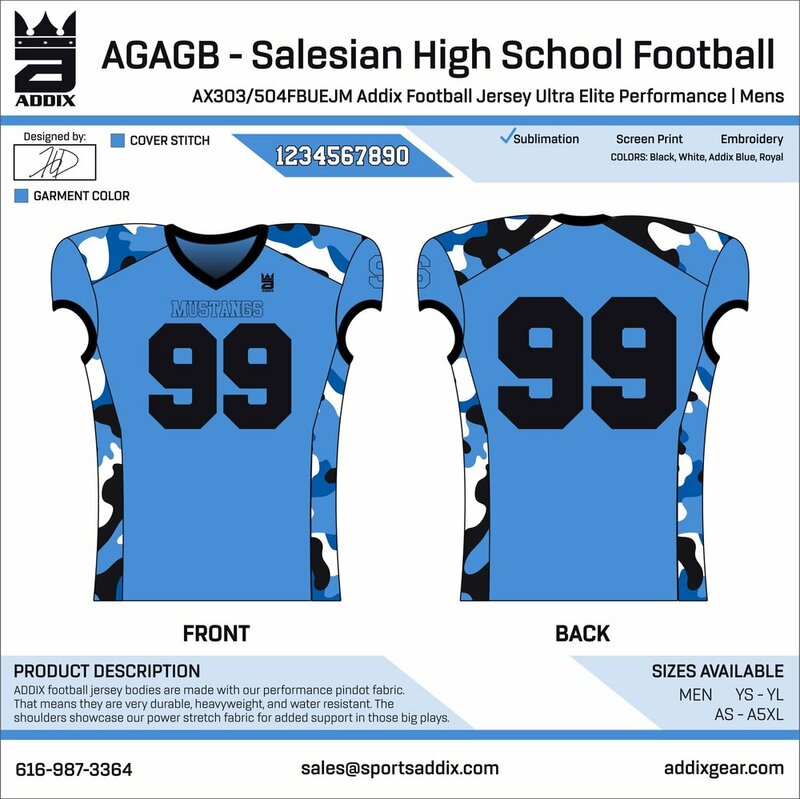 Salesian Football - We have a lot of Alumni that are veterans or are currently serving in the military. I feel this would be a great way to honor them. Sumner Academy Football - Sumner Academy and the Sumner Academy football program are the embodiment of Michael Sadler. Sumner Academy is a public magnet school in Kansas City, Kansas that serves one of the most diverse and low socioeconomic communities in Kansas. Despite these odds, our students are among the best and brightest our community has to offer. Sumner Academy offers the most academically challenging high school curriculum in the state of Kansas and is regularly recognized as one of the top schools in the region. Our students also exemplify the high character that Michael Sadler displayed in his life. The young men in our football program are hard working, selfless, talented, and caring individuals. Sumner Academy and the Sumner football program would be honored to raise money for Michael's foundation in honor of receiving this jersey donation. We look forward to working with you to honor Michael's legacy! Trinity Football - This will be a football jersey. We will be dedicating this Jersey to one of our players named Tyler Bova, who is a defensive back and receiver for our Trinity High School Football team. As of last week Tyler lost his Father, Mother, and 11 year old brother in a car accident while on vacation. At the moment Tyler is in critical condition and is fighting for his life. We are praying and believing that Tyler is going to pull through. Tyler was originally given a 20 percent chance to live and each day that goes by he is defying the odds. He has had multiple surgeries and is continuing to fight and recover. This is not shocking to any of his family, coaches, or friends because he has always had a tremendous amount of fight. Tyler embodies everything good about a high school athlete. His work ethic and determination to get better is second to none. He is a coaches dream and does all of the little things right. His attitude, intensity, and effort is contagious and he leads by example. He gives every area of his life 100 percent. 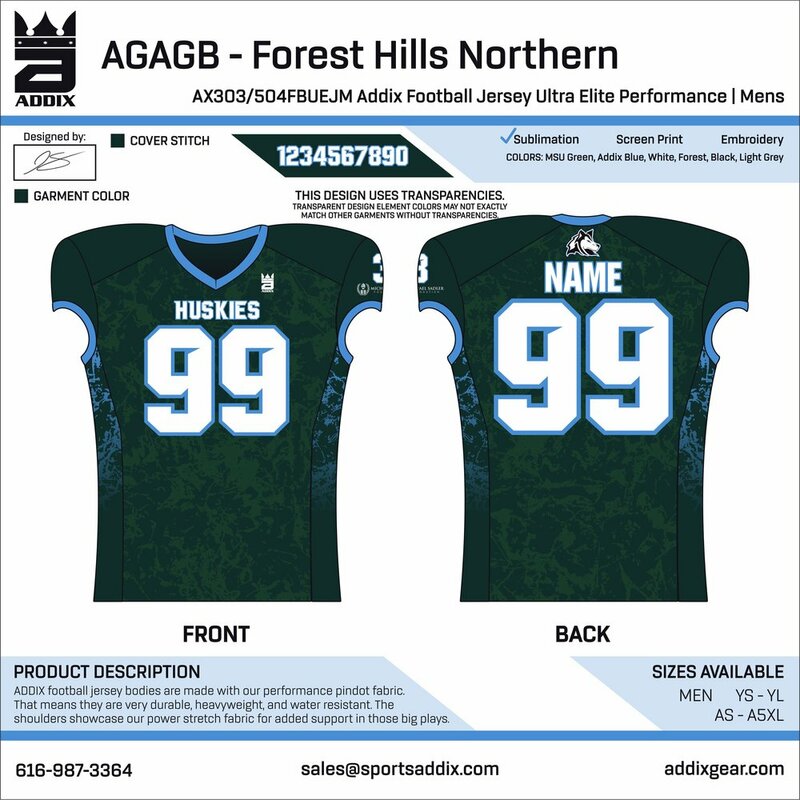 We would love to be able to honor Tyler with these new jerseys and reveal the jerseys at a fundraiser game to help Tyler's family with the major expenses coming their way. Our Community has rallied around Tyler in this tough time and it would be very special to be able to dedicate a new team uniform in Tyler's name. Western Wrestling - We would like to run a cause dual for Rileys Childrens Hospital. We appreciate your support helping us recognize this amazing place.